The day job has kept me away from blogging lately. But I did manage to fit in a visit to the Titanic exhibition in Belfast recently - well worth a visit. 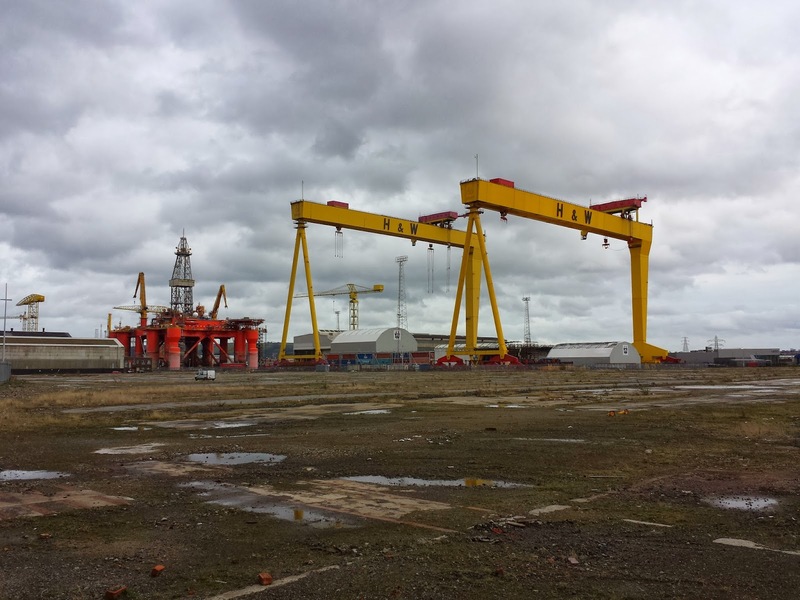 It's as much a paean to Belfast's industrial past as to the Titanic, reminding us how much the economy of this island has changed over the past 100 years. I remember earnest debates about the 'de-industrialization' of Northern Ireland back in the seventies and eighties. Back then, the demise of Harland and Wolff (the photo is from just outside the exhibition) was deemed to symbolize the problem as thousands of highly skilled, well paid jobs (for, ahem, part of the community anyway) we're being replaced by low skilled, low paid jobs. Or no jobs at all. Here in the second decade of the 21st century a lot of the same debate is taking place, only about the impact of global changes underway. From concerns about a new age of slow/no growth, to premature de-industrialization in developing economies, to an addiction to cheap money - even to concerns about a 150 year decline in average IQ - it seems to me that a lot of the regional economic concerns that I grew up with have now gone global. Meanwhile in 2014, the biggest economic challenge for Ireland - as Constantin Gurdgiev recently noted - is that we lack new long-term sources for growth. Ship building may be out of the question, but exhibitions and interpretive centres won't do it either. A recent report on the future of work in 2030 has lots to say about how we will work in the future (harder, longer and smarter apparently) but not so much about what we will be doing. The hope is that technology and innovation will increase productivity hence providing the basis for higher growth and standards of living. The fear is that technology and innovation will prove to be digital icebergs as the 'destruction' part of 'creative destruction' gathers speed.